Caleb grew up on the coast of Maine but was always drawn to larger snow covered peaks found in western states. He became a ski patroller and avalanche forecaster in the Wasatch, where the best part of the experience was meeting his wife, Stephani. 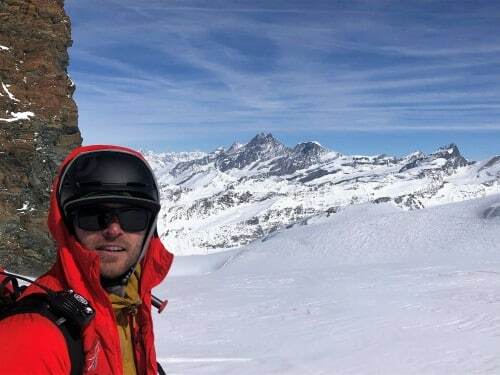 After relocating to the Rogue Valley in Southern Oregon, Caleb picked up work as a heli ski guide in the Ruby Mountains of Northeast Nevada. Caleb is currently working his way through the AMGA Ski Guide program. As part of his wildland fire career recovery program, Caleb has started to guide alpine climbing throughout the Cascades. In his spare time, he enjoys riding his mountain bike and dirt biking.